This title is intended as a supplementary book to the authors excellent book "Marketing Fine Art Photography". Whilst it can be read as a standalone book and is indeed very useful in this regard, the real value comes from having first read the companion book. I would even go as far to say having recently read the companion book. As with "Marketing Fine Art Photography", this is a very practical guide which illustrates through stories how to apply the information from the earlier book. This makes the two books together very powerful and helps the messages really sink in. The book is well constructed and is also well written. It also makes for a very fast read. I think I completed my first read in only a few hours (but I do read fast). If you find the same, put it down for a week and then read it again. You will get a different perspective the second time through. Whilst I really enjoyed both of the books from this author I though this second book didn't offer the same depth of advice as the first. It also suffered a little, as with the first book from presenting a single view of how to make money from Fine Art Photography. For these two reasons I am only awarding a score of 8. 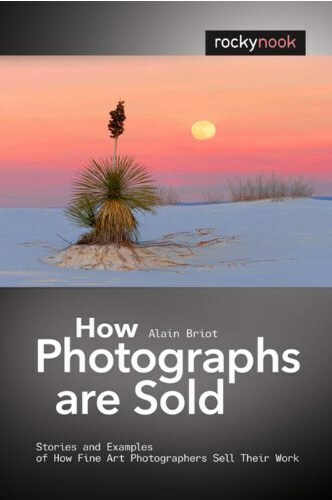 Despite this, if you are interested in making money from the sale of your photography, this is a good book to add to your library.